Accidents on the UK’s roads, as unfortunate as it may be, are not uncommon. Almost every day someone will be involved in an accident on the road, and more often than not this will involve drivers of cars colliding with one another. However the reality is that other road users do become involved in accidents, including motorbike riders. Many people are familiar with how the law works in relation to road traffic accidents involving cars, but are less aware as to how the law treats motorbike accidents. This guide will cover everything that you need to know regarding being involved in a motorbike accident. For assistance now in making a motorbike accident compensation claim please call now on 01252354412 or complete the enquiry form . Where do motorbike accidents ‘fit’in UK law? What evidence needs to be provided? Motorbike accidents fall under the UK’s personal injury laws. If you are ride a motorbike and have been involved in an accident that was clearly someone else’s fault, and been injured as a result, then you may be able to bring a compensation claim. It is also very important to note that personal injury law covers injuries of all kinds: whether mental or physical. This can be particularly important for motorbike drivers who, as a matter of fact, do not enjoy the same level of physical protection from accidents as other road users. As a result there are generally more susceptible to severe physical and mental damage if involved in an accident. The existence of a duty of care. In the UK, all road users are obliged by law not to do anything, or to fail to do something, that could result in someone else suffering an injury. More specifically, everyone is required not to do anything that is reasonably foreseeable as to cause someone to suffer injury. This is known as the duty of care. A breach of the duty of care. Demonstrating a breach of the duty of care owed to you can be difficult: you will need to be able to point to omissions or actions taken by the person that your claim is against and that these omissions or actions actually caused your injury. In other words, you will need to show how the their negligence caused your injury. Evidence of a breach of the Highway Code, whilst not definitive evidence of negligence, can be very powerful evidence in convincing a court of this. An overview of how the accident has impacted your life. IT always makes sense to obtain independent legal advice from an experienced personal injury solicitor . For legal help please feel free to call us on 01252354412 or complete our online enquiry form . As with any personal injury claim, the level of compensation that will be awarded in the event of your being able to prove that you suffered from the negligence of another driver, will depend on the circumstances. It is important to note that your claim will normally reflect the level of pain and suffering that your injury has caused you, and depending on the severity, the impact that your accident has had on your life, e.g. arranging for medical care, or a loss of wages. In terms of the cost of repairs to your bike and kit, in the majority of circumstances this will be covered by the negligent road user’s insurance. However this will depend on the particulars of their insurance policy. Victims of motorbike accidents are covered under UK personal injury laws. 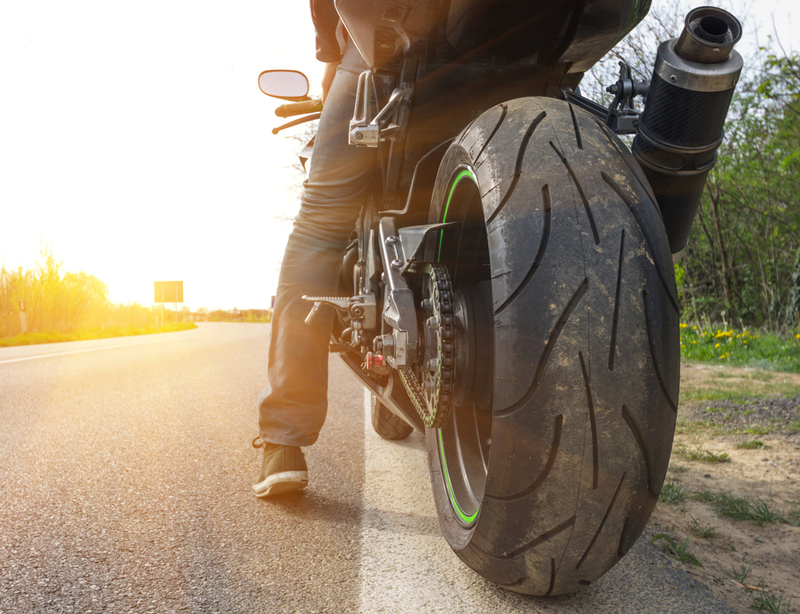 Motorbike riders can make a compensation claim for both mental and physical injuries. The increased susceptibility to injury makes no difference to the ability of motorbike riders to make a claim for injuries caused by someone else’s negligence. The level of compensation available depends entirely on your circumstances.